Peta Mathias MNZM is a respected and prolific New Zealand chef, author and broadcaster, who now builds on the culinary travel experience with her gastronomic tours in the south of France, Morocco, Spain and India. Having started her culinary love in Paris with her restaurant 'Rose Blues', she returned to New Zealand to teach, cook and write. Fete Accomplie, a book about her life in Paris with recipes, was the first of many subsequent award-winning gastronomic travel books written about North Africa, France, New Zealand, Ireland and Vietnam. Her book Can We Help it if We're Fabulous was an instant bestseller and has also been published in the UK, USA, Canada and Germany. It was followed by a number of other books about women, men and transformation. Peta Mathias is a respected and prolific chef, author, broadcaster and television presenter. 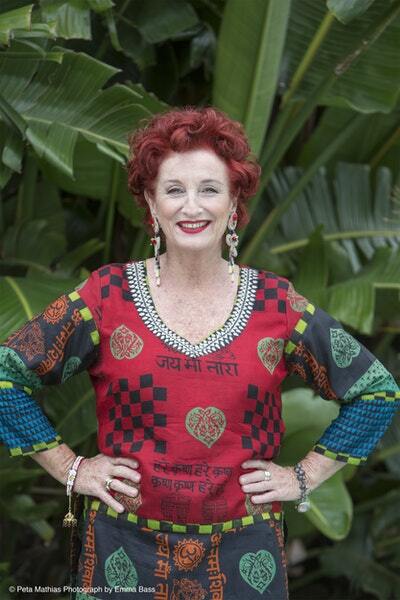 She also finds time each year to run very popular culinary adventures to Morocco, the South of France and Rajasthan, intended for travellers who love to cook. Peta has written a number of books about food and travel and presented a prime time television food and travel show, 'Taste New Zealand', for twelve years. As well as food and travel books, Peta has also written two bestsellers about relationships, Can we help it if we're Fabulous? and Just in Time to be Too Late. 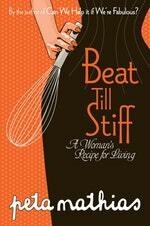 Her latest humour book, Beat till Stiff, is a companion to these two titles. Be the first to find out about Peta Mathias.